1000 IU in each drop, 1 fl.oz. Each drop contains 1000 IU of Vitamin D3 or cholecalciferol, guaranteed pure and potent from Self Health Resource Center. Suggested Use: Persons 12 or more years of age, take 1 drop daily or as directed by a health care professional. 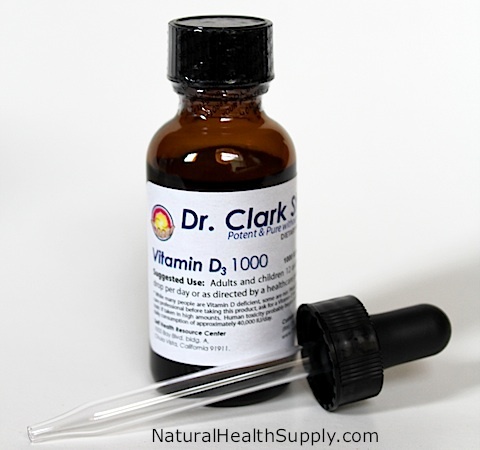 While many people are Vitamin D deficient, some are not. Please talk to your health care professional before taking this product. Ask for a Vitamin D test. Vitamin D can be toxic if taken in high amounts. Human toxicity begins to occur after chronic daily consumption of approximately 40,000 IU a day.